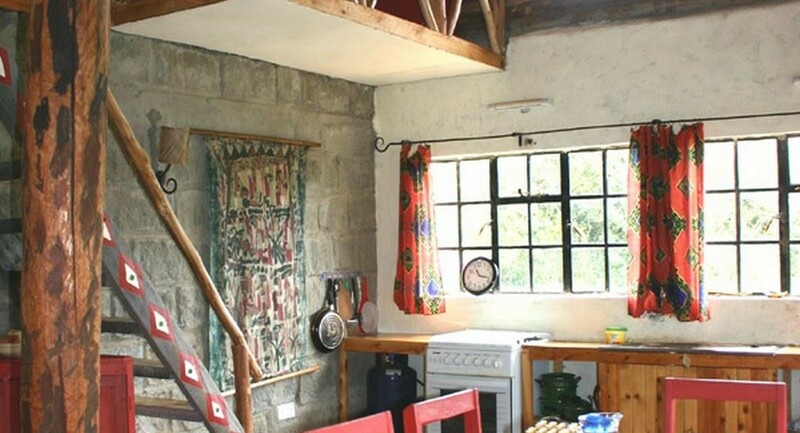 Medium sized cottage: The medium sized self-catering cottage Chui is situated on Sandai Farm next to the Aderdares and Mount Kenya and is a cottage for groups in the twin-house which consists of two similar cottages, Chui and Makena. 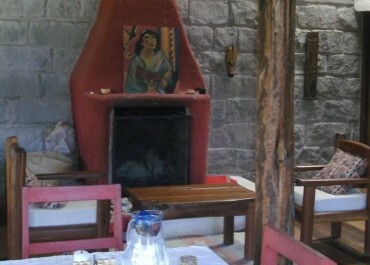 The tastefully furnished cottage has its own open living room with a fireplace, a dining table and open kitchen. The kitchen is fully equipped with a gas cooker, fridge, sink, cooking untensils and dishes. Chui has 3 bedrooms whereby one is an open bedroom in the gallery overlooking the living and dining area. The cottage can accommodate up to 4+2 people. The bathroom has a shower, WC and wash basin. The cottage between Aberdares and Mount Kenya has its own cosy but yet spacious verandah and a little fireplace to barbecue just outside. Bed sheets, pillows, duvets and towels are provided. 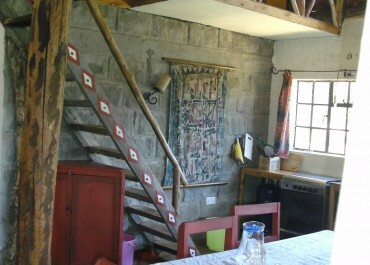 The cottage is completey self-sufficient and equipped as a cottage for groups. Electricity and hot water is provided by the solar panels. Water is provided by the well and collected rain water. Our self-catering cottages Chui & Makena are perfect for families with children or groups. Of course we also have special rates for guests who want to stay longer. 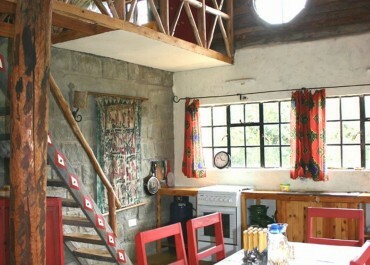 A comfortable self-catering cottage with a open living/dining room and kitchen. The kitchen is fully equipped with a gas cooker, fridge, cooking untensils and dishes. The cottage has 3 bedrooms. Two are on the ground-floor and one is in the open gallery overlooking the living area. The bathroom is fitted with a shower, WC and wash basin. The inviting verandah gives the cottage a cosy touch. Do you recommend this cottage? 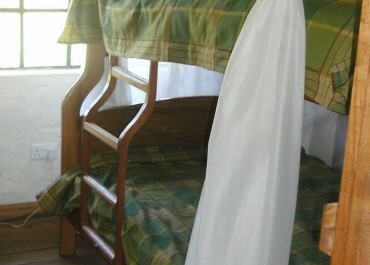 Self-catering cottages in Kenya. Between Aberdares and Mt. Kenya. Small cottages, medium cottages and one big cottage. Part of African Footprints Ltd.
© 2019 African Footprints Ltd. - All rights reserved.